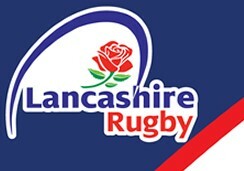 Bolton Rugby Club operates 4 senior mens teams. As such a game is usually on at home for supporters who wish to watch. The club welcomes supporters from the local community, and offers a bar service and food to purchase. Players like to see supporters come down to the club. Games kick off at 3pm for most of the season, with them moving to an earlier kick off during winter when the clocks change of 2.30pm. The season lasts from approximately September to April, and games are played on Saturdays. If you have any questions on supporting or watching BRUFC please contact us.